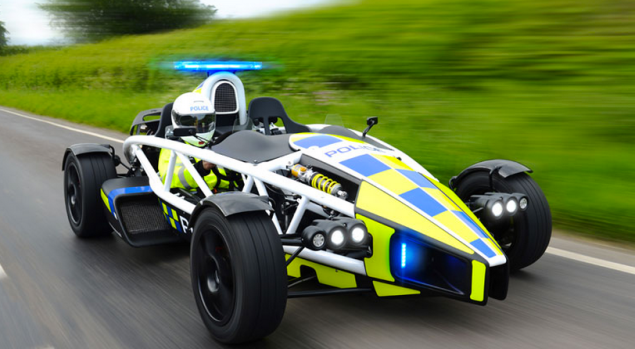 It looks like the Avon and Somerset Constabulary can now lay claim to the title of nuttiest police vehicle in the world – with the Ariel Atom 3.5R! If you’ve never heard of the Avon and Somerset Constabulary, I guess I’ll forgive you. 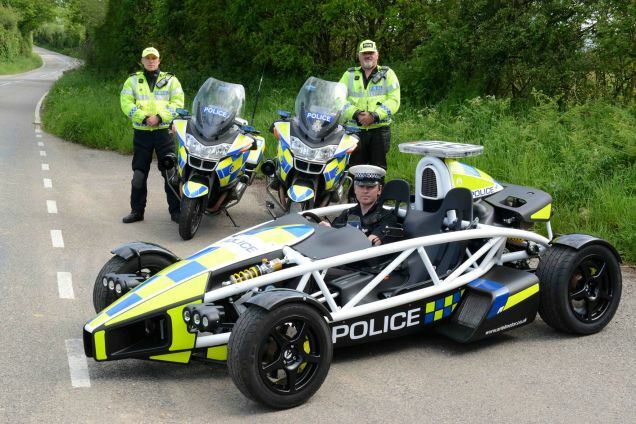 It’s actually the local police force for the area in which the Ariel Atom, the car entirely composed of scaffolding and engine, is built. Of course, being composed entirely of engine and scaffolding is not necessarily a bad thing, either, because the 3.5-liter V8 in the car the cops are getting can absolutely launch them towards speeders, getting them to 60 miles per hour in 2.5 seconds. And, in the pursuit of besting superbikes, Ariel has actually sought fit to add some real police equipment to their gift to the local police. It’s got the latest in aerodynamically sculpted lights and emergency equipment, in addition to the fluorescent paint. 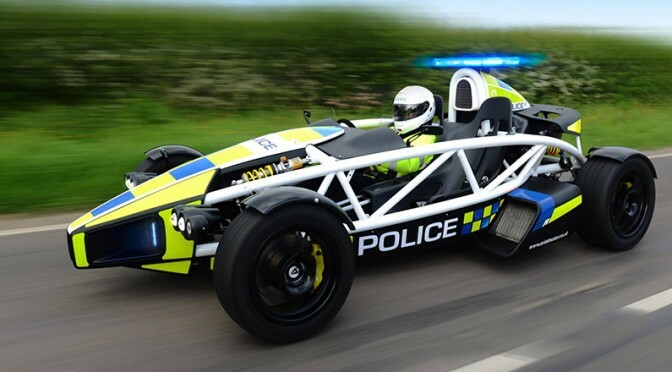 Sadly, as you can probably tell by the photo above, the Ariel Atom 3.5R police vehicle is possibly just for promotional purposes. Because there is no way you are driving that car, in that hat? That’s because this week brings us the Isle of Man TT, and with it, a lot of motorcycles. And what better way to promote motorcycle safety than with a car that can actually beat most bikes? Sigh. If only it could be real. But if it was, you’d never get away from the cops again.